The absence of its Snapdragon SoC in Samsung’s latest flagship smartphone – the Galaxy S6 – weighed heavily on Qualcomm’s Q1 2015 earnings announcement. “While we remain confident in the significant growth opportunities ahead, we are reducing our QCT outlook for fiscal 2015, primarily due to the increased impact of customer share shifts within the premium tier and a decline in our share at a large customer,” said Qualcomm CEO Steve Mollenkopf. This reads like an admission that the current generation of Snapdragons simply weren’t as good as what Samsung could make for itself. One reason for this could be any manufacturing advantage Samsung currently has over TSMC, which is the fab Qualcomm currently uses for its chip manufacture. These may include a process node advantage, which essentially allows more transistors to be crammed into the same sized chip. 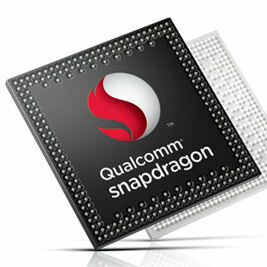 There were rumours earlier this week that Qualcomm is considering switching from TSMC to Samsung for the manufacture of the next generation of Snapdragons, which would not only resolve that issue but presumably also ingratiate Qualcomm to Samsung in general.